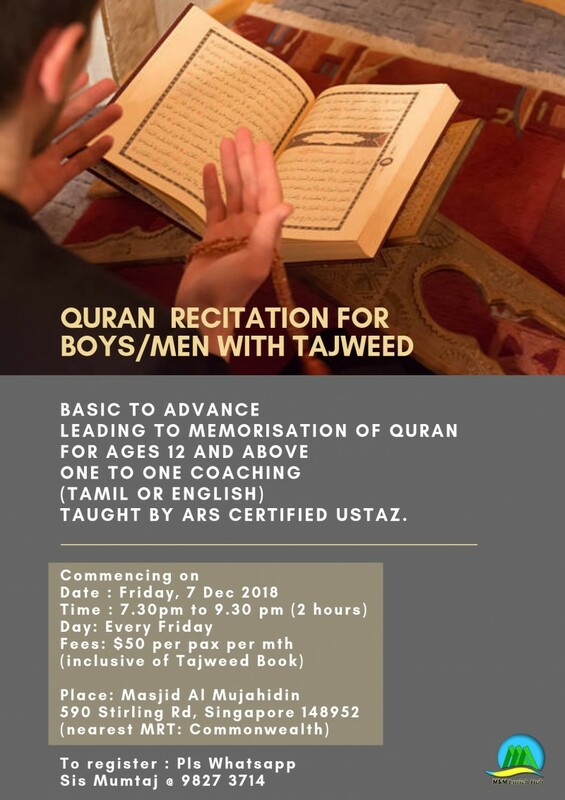 This class will be taught by Ustaz Muhammadh Anas who is ARS Certified. He has Masters in Islamic Theology from Darul Uloom Deoband. Hafiz degree from Darul Uloom Bolton. He also has a Degree in Qura'nic Studies (Qir'at).